The sixth biennial Myaamiaki Conference was held on March 15, 2014 at the Shriver Center on Miami University’s campus in Oxford, Ohio. 190 registered attendees enjoyed presentations on a variety of research topics related to the Miami Tribe. I feel very honored to have been asked to write a song for the Myaamiaki Conference. I am a recent graduate of Miami University and experienced four years of activities with the Myaamia Center staff and in classes for the Heritage Award. My music experience extends back to elementary school when my parents decided that if I was going to sing so much, I might as well do it well. I was enrolled in private vocal lessons, piano lessons, and briefly in guitar at which I utterly failed. My vocal training helped me participate in select vocal ensembles throughout middle school, high school, and in Collegiate Chorale at Miami University. Music is my life, the way I have been and still am able to sustain myself through the rigors of life, classes, exams, and now the demands of being in graduate school. When I was twelve, some of my cousins and I participated in the first Eewansaapita summer camp in Oklahoma. It was there that the seed of our culture was planted in my mind. I began to learn what it means to be myaamia and to integrate this new identity into my everyday life. I participated in the summer camp for three years, then took a break when I was “too old” to go back (or so I thought). My return was as a counselor in both Oklahoma and Indiana for three years, helping our current tribal youth to have a similar experience as I did. While at Miami University, our Heritage class learned about ecological perspectives, what sovereignty really means, and the myaamia language. I did a final project during my senior year integrating my psychology degree with the culture, researching how heritage language learning can affect the psychological well-being of adolescents. Every day I am learning how to navigate my various identities, incorporating the myaamia identity into my everyday life. My senior year, I was able to take a trip to New York City with the music department at Miami for a special performance at Carnegie Hall. The most important part of this trip and of the concert was being able to sing a verse of the Miami alma mater in the myaamia language. Although I wasn’t in the ensemble selected to sing the alma mater, I was allowed to join that group and sing on that famous stage in my heritage language. That is a moment that I will remember for the rest of my life and it enhanced my footprint in the myaamia language revitalization process. I was chosen to write this song because of the combination of my music background and involvement in tribal activities. I have tried to incorporate the views of my generation, the myaamia culture as others and I in my generation understand it, and a musical influence into this song. When seeking input about the lyrics, I heard others say they appreciated Daryl’s speech during the Dalai Lama visit. In thinking about what made that speech so powerful, I believe that it was the natural metaphor of the “burning embers” that struck a chord with many people. Therefore, I decided to write a metaphor about rivers as a representation of our people, the struggles we have experienced, and the language revitalization process. I struggled in the composition aspect of the song, as it is my first time writing music, and I did procrastinate a little more than I should have. I am proud of the song and hope it will resonate with other myaamia people. This process has taught me a lot about our language and about myself, allowing me to add another experience to my myaamia identity. saakiiweeyonkonci saakaciweeyankwi ašiihkionki, neehi myaamionki weentamankwi. naahpa peehkiciki pyaawaaci neehi neepatenilankwiki, naahpa eehkwa waaha eepiyankwi. From the confluence, we emerged here on the land, and we called it Myaamionki. We lived together as one. We grew our crops. We emerged as a people along the beautiful rivers. Continually we lived and grew together. But then new people came and caused the rivers to flow between us, but we are still here. kitašiihkiominaanki šaapohtanki siipiiwa, naapiši kiteehimenaanki šaapohtanki. naahsaapi siipiiwa waawiihsenwi šiinšiilawiiyankwi, waawiihsenwi noohkileeyankwi. siipiiwa keekinikoci myaamiaki neehi peehkatwi myaamionki. The rivers run through our lands just as they flow through our hearts. Like the rivers, sometimes we are strong, sometimes we are weak. Like the rivers, we come together to form confluences that are strong. The rivers bring life and beauty to Myaamionki and to the people. naahpa peetilaanki neehi iišihtanki siipiiwa. When the land is dry the river becomes weak. When we forget and lose each other we become weak. But the rains have come and the rivers are flowing. Now we hear our language, tell our stories, play our games, and are together again. From the confluence we emerge. naapiši iišihtanki kitelaataweeyoneminaani, naahsaapi iišiteeheeyanki neehi aahkwaapaweeyankwi, eehkwa waaha eepiyankwi. The rivers bend, they flow in different directions, they change. We have changed, walked new paths and found new rivers. We move in all directions and in great distances. With us we bring our language, stories, our knowledge. Our language, flowing like the river with our thoughts and dreams, we are still here. In the years of relative health, our communities successfully raised generations of youth who created changes that helped their community survive. Following the fracturing of homelands and community, which lead to the eventual dormancy of our language, much of our cultural understanding of child development and parental care fell dormant as well. As the Miami Tribe engages more heavily in youth education, we recognize the need to look towards the historic and linguistic materials for insight into youth development and parenting practices. This revitalized knowledge will be combined with the best of what global science has to offer and used in the context of youth education, including language and cultural revitalization. This talk will share some of the initial findings as we develop a culturally appropriate youth development model for tribal use. Telling Our Story: A Living History of the Myaamia is an online resource designed to provide teachers and home schooling families with a curriculum for teaching Myaamia (Miami Tribe) history to grades 3-12. It is aligned to the Ohio, Indiana, and Oklahoma standards and the Common Core Standards. This presentation will include an overview of the project to date and plans for it's future; an introduction to the resource; and a hands on demonstration of one of the activities. The Myaamia Center aspires to chronicle the impact of Myaamia tribal initiatives and experiences. One of those experiences is the college journey of students from the Miami tribe who attend Miami University. This presentation highlights two distinct aspects of the Myaamia center’s examination; one focuses on presenting the evolution of the Miami University-Miami Tribe relationship, including the development of the Miami Heritage classes, and the second focuses on findings from the initial study designed to document (from the students perspective) the Miami student experience while attending Miami University. Of note is the student perspective on their identity formation, views about sharing their Myaamia culture with others, and the support they receive from the tribal community especially in terms of learning about the language and culture. According to student reports, their knowledge about themselves, and their community and culture is influenced by their interaction with tribal members and the Myaamia courses they take. In addition, this sense of connection improves academic success. The Wabash and Maumee Valley was a confusing landscape to foreigners on the eve of conquest in the 1790s. We often take for granted the categories of the past—terms like tribe, village, or nation seem unchanging. By examining local politics and places, we can better understand the nature of myaamia communities and their neighbors at the moment of conquest, and in turn recognize how they viewed themselves. Focusing on the experience of village life in the 1790s suggests that myaamiaki entered their treaty relationship with the U.S. as members of towns. The art of Miami ribbonwork ceased to be practiced in the Miami community since the early twentieth century. The many moccasins, leggings, and blankets adorned in ribbonwork were scattered far from the Miami people and have rested since in the collections of various museums across North America. Much like the Miami language, ribbonwork embodies important Miami conceptions of our relationships to the world around us. I examine the ways in which Miami ribbonwork is not only a dormant art, but also a dormant language that can be reawakened. Performance of a commissioned choral piece by Miami University Choraliers. Conducted by: Dr. William Bausano. William Bausano, Professor of Music at Miami University, is conductor of the Choraliers (women’s chorus and the Chamber Singers, teaches choral music courses, and serves as the Director of Choral Activities. He is a founding member and past president of the National Collegiate Choral Organization. The Miami University Choraliers was first established in 1908 as the Miami University Women's Choral Society and consisted of approximately 25 members who performed one concert each year. More than 100 years later, the ensemble is a 70 voice women’s choir and performs a wide variety of the finest in choral compositions and arrangements for women’s voices. Mollie Cox (2009 alumna) was president of the Choraliers when a commissioned piece was created for and performed by the chorus at their 100th anniversary concert. Mollie was the first to suggest that an interesting project to consider would be a future new musical work with words in the Myaamia language. In September 2012 a contract was signed with composer Ola Gjielo to write a choral piece for the Miami University Choraliers with words in the Myaamia language. The piece is named “Myaamia” with the poetry written by George Ironstrack. Pronunciation assistance was provided by Daryl Baldwin. Ivalah Allen, citizen of the Miami Tribe and Assistant Professor of Music at Fort Hays State University, converted the poem into the International Phonetic Alphabet. 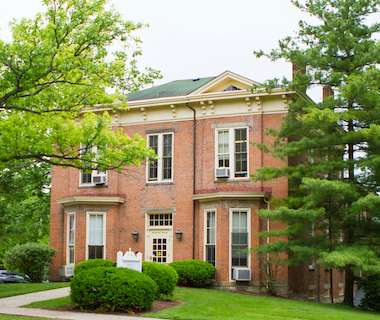 Funding for the project came from a generous gift from Patty Morrison (MU 1980 , the Myaamia Center, and the Miami University Division of Student Affairs. Ola Gjeilo (pronounced Yay-lo) was born in Norway in 1978, and moved to the US in 2001 to attend the Juilliard School in New York City. He is a well[known, highly respected composer based in New York City, and is widely published in choral, wind symphony and piano compositions. http://olagjeilo.com/. In the early 1990s, the Breath of Life (BoL) Silent no More Native California Language Workshop for California Indians began at the University of California, Berkeley for California Indian communities with sleeping languages – that is, those whose languages had no speakers. The intent underlying the founding of BoL was to promote the use of archival language documentation for reclamation purposes. California BoL workshops revolve around finding materials in campus archives and interpreting them using tools of linguistics, hence breathing life into California’s first languages. California's BoL is now a biennial summer workshop, and the model is spreading. It has been adopted into a similar workshop in Oklahoma, and in 2011, the first national BoL Archival Institute for Indigenous Languages was held in Washington, DC. Starting in 2000 for the California workshop, and in both the Oklahoma and national workshops since that time, the myaamia presence in BoL has been significant. Myaamia people have served in both organizational and instructional roles, and myaamiaataweenki is widely referenced as a language that has undergone reclamation from archival materials. Planning is now under way for the Myaamia Center to co-sponsor the 2015 national BoL Institute. This presentation reports on the history and design of BoL, focusing in particular on myaamia involvement in the program. I begin with an overview of the workshop and of broader trends in sleeping language reclamation, and interweave into this summary the specific role of myaamia participants and of myaamiaataweenki as a case example of sleeping language reclamation. I then explore the roles and responsibilities associated with future myaamia participation in BoL, highlighting how the Myaamia Center is in an ideal position to contribute to, and also benefit from, active engagement in the 2015 national BoL Institute. The Myaamia Heritage Museum & Archive is tasked with the mission of providing access to cultural heritage documents and objects to the tribal community. This presentation will look at ways we are currently trying to promote access through digital means, as well as challenges we face now and in the future. Meghan will give an overview of the collections available for possible digitization, and Kim will talk about the recent project to digitize annuity payrolls from the early 1880s. How is the Myaamia Center bringing 18th century Myaamia-French dictionaries out of archives and into Internet-connected world? The Myaamia Center and Miami University's College of Engineering and Computing are currently executing a project funded by the National Endowment for the Humanities aimed at making historical myaamia language documents available for widespread use for the first time. Center staff, university professors, and students are building a website and database capable of storing historical language documents in digital form and making them available to myaamia language scholars across the United States for translation, analysis, and searching. The session presents an overview of the project and its current status. The rules of word order for Myaamia sentences are extremely different from those of English. Word order in Myaamia is remarkably variable, but not random: it is influenced by several factors, such as what information is new versus old, or what information is topical. Additionally, certain kinds of words almost always come before verbs in Myaamia, while others almost always occur after them. In this talk, I will discuss the word order patterns of Myaamia, mostly relying on texts told by native speakers in the late 1800s and early 1900s, but also from missionary documents form the early 1700s.